Intel Stratix 10 introduces its new architecture, HyperFlex along with 14nm Intel Tri-Gate technology. The new architecture allows FPGA designers to control their design performance by using registers throughout the core fabric, which provides a better approach to retiming, pipelining and optimization, in order to achieve timing closure faster. 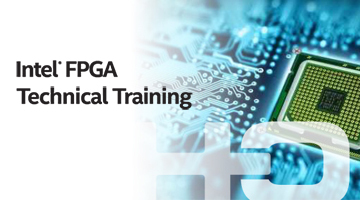 This course provides all practical know-how needed to achieve higher productivity in Intel Stratix 10 FPGAs. The course goes deep into the HyperFlex architecture and expose all Quartus Prime Pro features, design new methodologies and new tools such as Fast Forward Compile.